Large shrub or small tree, ultimately growing into an umbrella shape. Large, dark green leaves. 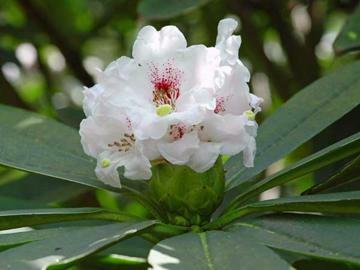 Loose white or pale pink flowers with a deep reddish blotch and spots, in March and April. One of the hardiest of the big leaved species. Likes some shade and a protected position.